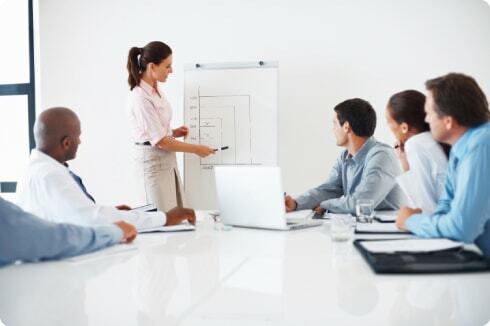 Communicating to Manage Performance is a dynamic skills-based course designed to empower managers, supervisors, and team leaders to build and sustain high performance in day-to-day interactions with effective and consistent communication. Recognize and reinforce performance that is effective. Provide clear and timely redirection of performance or behavior that is ineffective or inappropriate. Hear and encourage the expression of ideas and issues. Value the unique contribution of each employee and co-worker. The CMP Model delivers results of effective performance management! CMP teaches managers how to be clear and specific so that employees and team members understand their expectations. The course helps model open, honest communication on how to make requests for desired behaviors in ways that will help others listen and understand these requests. To assist managers in creating and maintaining a work climate in which employees feel valued and are motivated to be involved in reaching the organizations goals, CMP shows you how to listen more effectively and acknowledge ideas. To help employees maintain or increase desired performance, CMP teaches managers how to give effective, positive and corrective feedback. This reinforcement acknowledges what employees are doing well and gives them the opportunity to redirect their behavior to correct performance deficiencies. EDSI’s packaged CMP course (two days of training content) is highly interactive and offers a skill-based approach to managing performance. Through the intensive use of the CMP Model, participants acquire job-specific skills that have immediate application! allows you to express your viewpoint in a way that promotes listening and cooperation. encourages the best possible performance by recognizing and reinforcing effective behaviors and results. demonstrates interest in and understanding of the speaker’s message. promotes creativity and innovation by creating a climate where people’s ideas are valued and encouraged. improves performance and develops employees’ capabilities. A dynamic, performance management course designed to enable managers and leaders to be more objective, consistent and proactive.